He Holds The Book Of Life by Jay Givens - 7.000" x 8.000"
He Holds The Book Of Life poster by Jay Givens. Our posters are produced on acid-free papers using archival inks to guarantee that they last a lifetime without fading or loss of color. All posters include a 1" white border around the image to allow for future framing and matting, if desired. There are no comments for He Holds The Book Of Life. Click here to post the first comment. 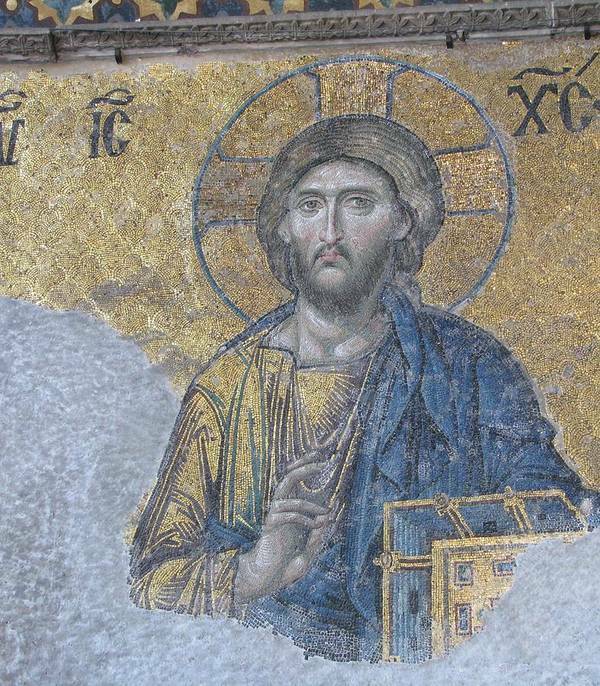 A photo of Christ Pantocrator icon in Hagia Sophia, Istanbul, Turkey. 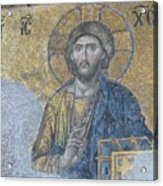 Christ is preparing for the judgement of the world, holding the book of life in his hand. 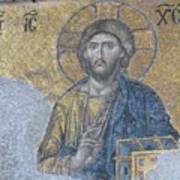 Christ is the central figure of three in the De�sis mosaic. Mary and John the Baptist are on either side petitioning him to intercede for humanity on the judgment day.